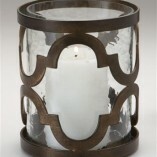 The hurricanes are fitted with bubble-glass inserts to shield candles from breezes. SKU: N/A. 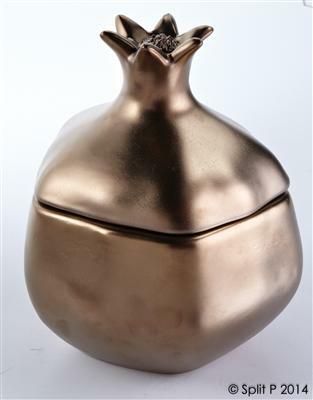 Categories: Accessories, Autumn, Gifts. 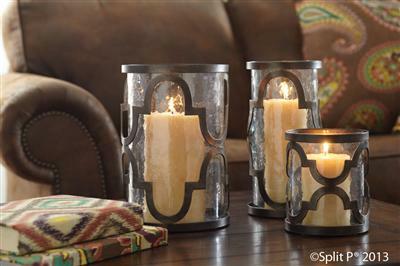 For simple home decor that adds sophistication, a great way to start is with a grouping of glass hurricane pillar candle holders. 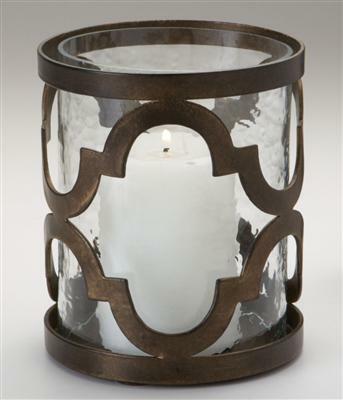 These bubble-glass Hurricanes are Constructed of iron, features a cut-work quatrefoil pattern and are finished in burnished bronze. The hurricanes are fitted with bubble-glass inserts to shield candles from breezes. So warm & inviting! Comes in 3 sizes.